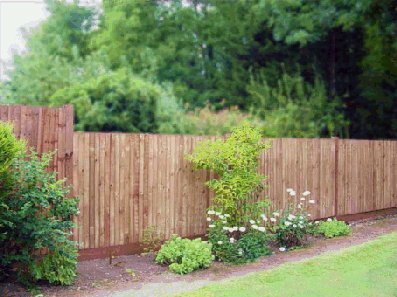 Autumn Gardens offer a garden fencing service that provides for the supply and installation of new fencing and the maintenance of existing fences. Following the initial contact with you, we will arrange a date and time to meet, discuss your requirements and survey the site for the fence. Once this is established we will supply you with a detailed proposal for the supply of materials and labour to complete the work. Customised fencing can be designed and erected if none of the wide range of proprietary fence products available suits your specific needs. Once on site we will clear away and dispose of any existing fencing as required, erect the fencing as agreed and leave the site tidy and clean on completion. A well-positioned Pergola can change the whole look of the garden, decorated with clematis, honeysuckle or roses it can give the smallest garden a new dimension. Whether a walkway or a covering for an al-fresco area, Autumn Gardens can help you achieve your vision. 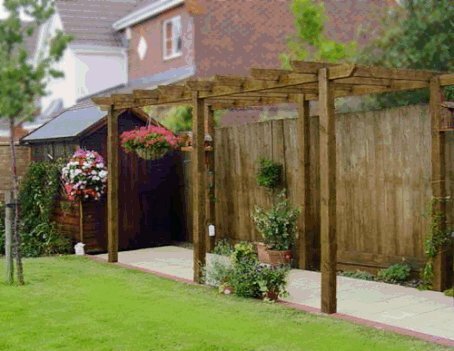 We will work with you to design your feature pergola or decorative structure, to enhance your garden or patio area. Autumn Gardens’ skilled workforce will carry out the construction and installation of the structure.